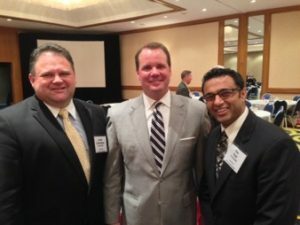 Promise Hotels CEO, Pete Patel and COO, James Cunningham are pictured with Oklahoma Lt. Governor, Todd Lamb during the July 29th Tourism Conference held in Tulsa. Promise Hotels is very involved in promoting and developing greater efforts to bring more tourism into the area and the state. Now Open! Tulsa Club Hotel Has Arrived!